This is the third in an occasional series featuring authors from around the world. 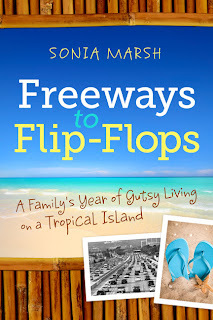 I met Sonia Marsh through an independent author's community on Facebook about a year ago. Since then, I wrote a story for her "My Gutsy Story" series, which is being turned into an anthology and published this September. I reviewed her memoir, and had a chance to speak with her on the phone from Southern California where she lives. 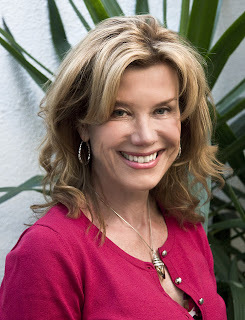 Sonia's memoir, Freeways to Flip-Flops, her work inspiring other writers to take a risk and write about their journeys and her entrepreneurship in establishing her "gutsy living" brand, make her a pioneer in the memoir and independent publishing movement. I asked Sonia what inspired her memoir and, from that, her "gutsy" author platform. Please welcome Sonia to the Circle. In 2003, I told my friends about our plan to uproot our family from a comfortable lifestyle in the U.S., to a hut in Belize. Many thought we were crazy . . . others suggested I write a book about our new life. Fortunately, I started writing a year before our move, which was in 2004. Life at home had become quite emotional, with our oldest, teenage son causing havoc in our daily life, and I knew if I could capture everything while it was still “raw,” this would make my story both visual, and authentic. My first step was to keep a journal. As a novice writer I had no idea it would take seven years to turn my journal into a commercial memoir. After keeping a journal for a couple of years, I had 660 pages on my computer. I sent excerpts via e-mail to friends back home, and they said, “Sonia, your life in Belize is so exciting compared to mine back here, please continue sending me your stories.” This was all I needed to keep writing. Every day in Belize was a challenge, and being out of our comfort zone forced my three sons to adapt. Life was full of adventures and misadventures, and trying to make a living resulted in sabotage and other unexpected events. Our family worked together as a team and grew close as we depended on each other for security, and other reasons. 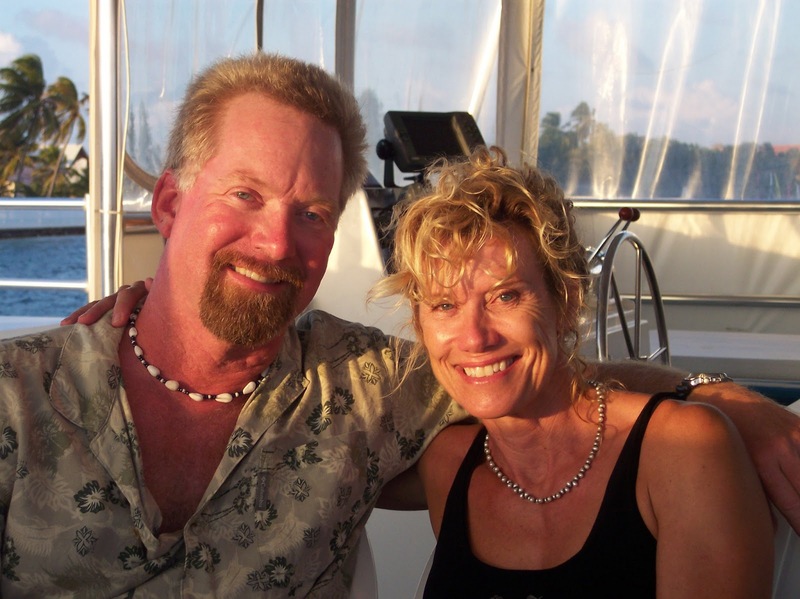 Unable to get a business started forced us to return to California in 2005. We had all learned different lessons from our year in Belize, and I knew I had a unique story to tell so I took writing classes and attended conferences. I first heard about blogging in 2006, and decided this might be a great way to improve my writing skills while building an audience for my memoir. The name “Gutsy Writer,” came to me after a few months of reflecting on a theme that fit my memoir. At first I wrote about topics that interested me, but were not necessarily related to my “gutsy” theme. This was a mistake, but I didn’t know enough about blogging at the time. In 2011, I had a professional website designed which gave me credibility. I attended monthly meetings with other bloggers, most of them young moms starting online businesses. I then decided that “Gutsy Living” would enable me to broaden my topics, allowing other writers to contribute to building my brand. One young blogger suggested I allow guest posting about “Gutsy” topics. This is how I decided to start the “My Gutsy Story” contest. I knew other writers had their own “My Gutsy Story” to share, but I had no idea this series would continue to grow. I managed to get sponsors so monthly contest winners could pick a prize. It’s still going strong, and if you’re interested in submitting. Please check out my Gutsy Living Blog contest page. In 2012, I decided to trademark the “My Gutsy Story®” name, and now have 61 authors who have contributed to an anthology with a publication date in September 2013. I am organizing an indie author event with “My Gutsy Story®” authors to be held in a movie theater in Orange County, California, for the anthology launch. Finding my brand was a gradual process. I feel fortunate that everything seemed to blend together with our “gutsy” family adventure in Belize. 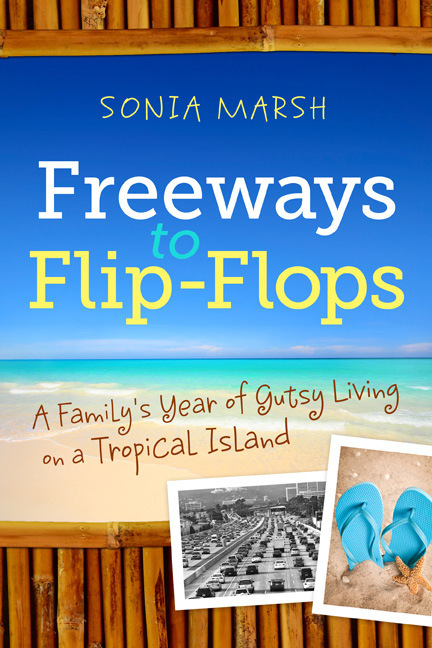 I have a specific message in my memoir: Freeways to Flip-Flops: Our Family’s Year of Gutsy Living on a Tropical Island. Life lessons that I learned about my sons, my husband, and myself, thanks to our year in a third-world country. This enabled me to build and grow my brand, “Gutsy Living: Life’s Too Short to Play it Safe,” which then led to speaking about taking risks in life, and not postponing your dreams. I have found that making presentations in libraries, bookstores and at writers’ workshops has created a buzz about my book. Local newspaper articles have helped spread the buzz, and a couple of newspaper reporters called to interview me about my book, as well as being an indie author. I enjoy networking and marketing, and although most of us are scared of public speaking, I think this is necessary for indie authors to promote their book. When I was thirteen, everyone laughed at an impromptu speech my teacher asked me to make. I have always remembered that embarrassing day, and have made it a life goal to overcome my fear of public speaking. If I can do it, so can anyone else. Finally, I started a Facebook group called: Gutsy Indie Publishers, which now has 240 members. We all help one another during the various stages of publication. There are also book designers, editors, PR people, book shepherds, as well as writers who are just starting to write, and have questions. I invite you to join us, if you’d like to. I think it’s important to realize that indie publishing means you’re starting your own professional business. It’s a full-time job that requires wearing many different hats, but as long as you’re willing to keep learning, it’s well worth it. Sonia has lived in many countries – Denmark, Nigeria, France, England, the U.S. and Belize – Sonia Marsh considers herself a citizen of the world. She holds a degree in environmental science from the University of East Anglia, U.K., and now lives in Southern California with her husband, Duke, and their rat terrier Cookie. Sonia welcomes new friends, writers and readers at her website: www.Soniamarsh.com.